Diocesan Convention is now brought forward one month, with threatened deposition by the September meeting of the House of Bishops cited as "sufficient cause." On Saturday October 4 delegates will meet at St. Martin's, Monroeville (which also hosted the special convention back in 2003, where the process of disassociation began). It's going to be a bumpy ride. This is the second of three articles that will appear in TRINITY, the diocesan publication of the Episcopal Diocese of Pittsburgh. 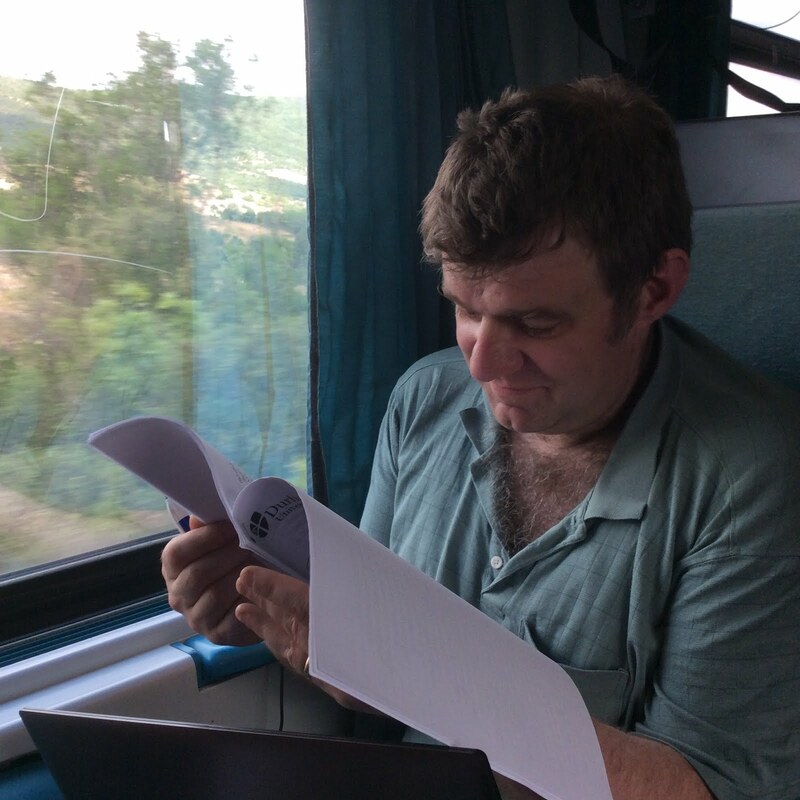 They represent an overview of a manuscript history, which will be published by Wipf and Stock in 2009. Six of Pittsburgh’s seven bishops came to the office as outsiders, a pattern that owed much to a lay preference for a bishop without ties to local clergy. 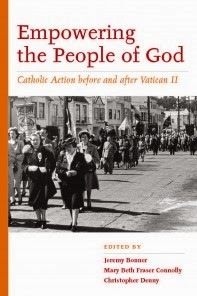 “Only two men in the Diocese, I was told,” Cortlandt Whitehead (1882-1922) sardonically commented years after his election, “had ever seen me – one a clergyman and one a layman – neither of whom voted for me – men of sense and fine discernment.” Perhaps the most brutal election – requiring no less than sixteen ballots – was that of 1922, which finally chose Alexander Mann (1923-1943), rector of Trinity Church, Boston. In 1980 another stormy convention witnessed a closed session in which Dean John Rodgers of Trinity Episcopal School for Ministry (who had been nominated from the floor) was interrogated by convention delegates angry that they lacked adequate background information. Thankfully the convention then took only five ballots to elect Alden Hathaway, a decision that would mark the beginning of a singular change in outlook for the Diocese of Pittsburgh. Fifteen years later, Canon Robert Duncan would be elected as Hathaway’s successor only after his initial rejection by the nominations committee and nomination from the floor with the backing of a wide cross-section of members of the diocese, many of whom did not share his theological convictions. 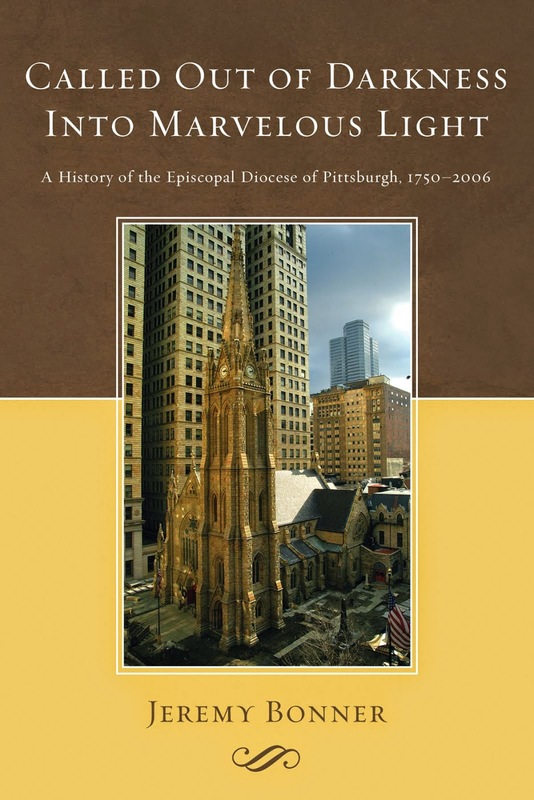 In the course of 250 years, Pittsburgh’s Episcopal bishops have represented a wide cross-section of the various schools of churchmanship, from the stately Anglo-Catholicism of John Kerfoot to the Broad Church pragmatism of Alexander Mann and the Evangelical fervor of Alden Hathaway. Not all were cradle Anglicans. 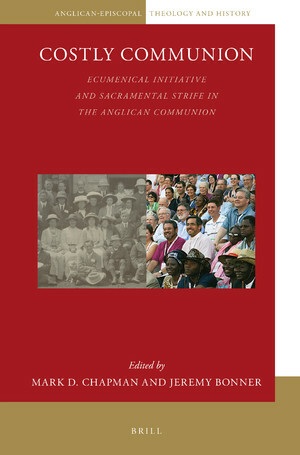 While Robert Duncan (1996- ) waxes lyrical about his Anglo-Catholic upbringing (“If it hadn’t been for that parish church,” he says today, “I think I would not only have emotionally died but I would have physically died”), John Kerfoot was baptized a Presbyterian, a fact that concerned him enough to request a conditional baptism before his ordination in 1840. By contrast, Robert Appleyard (1968-1979) was an ordained Methodist minister before joining the Episcopal Church during the Second World War, distinguished by being the only English-speaker in his sixty-member Confirmation class on the island of New Guinea. Several of Pittsburgh’s bishops have enjoyed prominent national roles. John Kerfoot , who helped broker an agreement to readmit southern Episcopalians to the General Convention a year before his election, was active in the debates that consolidated the ascendancy of the high church party within the Episcopal Church, while Austin Pardue (1944-1967) served as chairman of the national church commission on industrial work during the 1950s. Many bishops have also understood their responsibility to preach to the wider world, prompting Cortlandt Whitehead to denounce the 1892 Geary Act limiting Chinese immigration, Austin Pardue to become the first Episcopal bishop to address a national convention of the United Steel Workers, Robert Appleyard to promote Project Equality as a part of the national campaign for civil rights and Alden Hathaway to protest abortion outside the Pittsburgh offices of Planned Parenthood. Ultimately, however, it is as bishops in the Anglican Communion that Pittsburgh’s leaders have been judged and will continue to be judged. 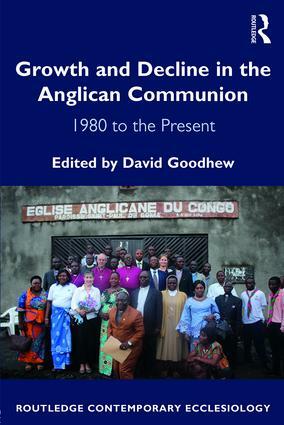 “These rapidly growing and multiplying Anglican Churches of ours, are too much one to live and work apart comfortably;” declared John Kerfoot in 1879, “and are too strong and spreading to work apart safely; and too brave and independent to fear each other in a blessed co-partnership under Christ, in their holy task of winning souls and building up the kingdom . . . [The Lambeth Conferences] keep the one Faith written out brightly in the old lines of catholic Truth; these old lines traced afresh in living colors, which the truthful and obedient shall hereafter see with thankful memories of our counsels, when we shall have gone where the Truth and its sunlight shall never grow dim.” Almost a century later, Austin Pardue predicted that the Anglican Congress of 1963 might be the beginning of a process by which the Anglican Communion might “begin to act as one Church and not as 18 separate and individual churches.” Today, as the world waits for the outcome of Lambeth 2008, it may be expedient to remember the purpose for which the episcopate was consecrated and to pray that the price of leadership for all affected may not be too severe. James M. Adams is the Episcopal Bishop of Western Kansas. Although he is a member of the Anglican Communion Network, his Diocese is not. The Episcopal Church has declared that it is indeed a church apart from the Anglican Communion. And this has not occurred because of sexuality, women's ordination, differences in doctrine, nor polity. It has happened because The Episcopal Church no longer recognizes the universality of Anglican Holy Orders and truly is no longer a member of the One, Holy, Catholic and Apostolic Church most of us were ordained into. How far will the separation go? I fear it will eventually be complete and Episcopalians can throw away all the books which claim it is an Anglican Church because it will have divorced itself from its past and become something apart. Maybe that is what the majority want. Then those who have trouble with the historic Creeds of the Church can cut those out of the liturgies and declare a universal salvation at no cost or sacrifice. And it will be worth what people are willing to give for it. As little as possible. An occasional embarrassment of publication is the discovery of errors. While these are often purely textual, they occasionally involve the reproduction of local urban legends. This past month I became aware that this had occurred in my first published monograph, The Road to Renewal. 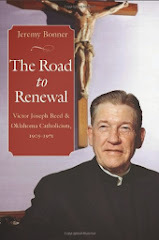 I must therefore admit that on page 202, I describe the publicity given by the National Catholic Reporter to Father John Bloms following his employment of girl servers at the Catholic parish in Ada, Oklahoma, as dating from 1964. The diminutive Benedictine did indeed feature on the front page of the national paper celebrating the Eucharist facing the people and flanked by two young female parishioners, but although he instituted this practice in 1964, it was not until November 24, 1965 that reporters finally caught up with him. Two weeks later, the National Catholic Reporter dutifully reported that Father Bloms had signified his submission to an episcopal injunction to cease and desist. While my error does not detract from the essential truth of the story, it nevertheless requires correction and this seems the best forum in which to acknowledge it.